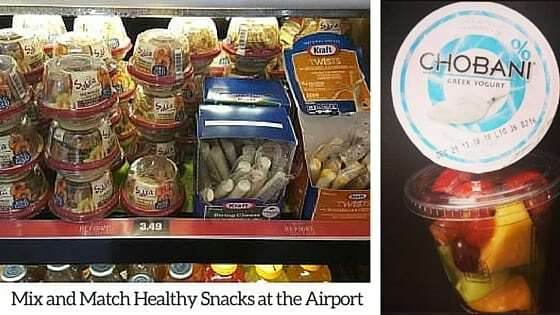 Finding healthy airport food is easier than you think! Even with the best intentions, it can be difficult to eat healthy on a travel day. It is so much easier to grab a candy bar while running to your next gate than it is to search for a freshly made meal. 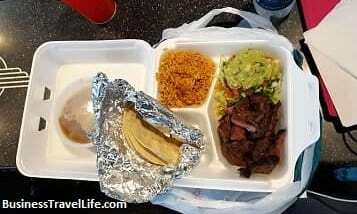 And, in smaller airports, a freshly made meal may be hard to find. Tight connections cause many travelers to rely on convenient (and not necessarily healthy) food while hightailing it to their departure gate. Whether you are the occasional traveler or a weekly road warrior, choosing a healthy meal can impact more than your waistline. Did you know a healthy meal during travel can reduce jetlag, boost your productivity, improve your quality of sleep when you reach your final destination, and give you more energy to explore when you arrive? 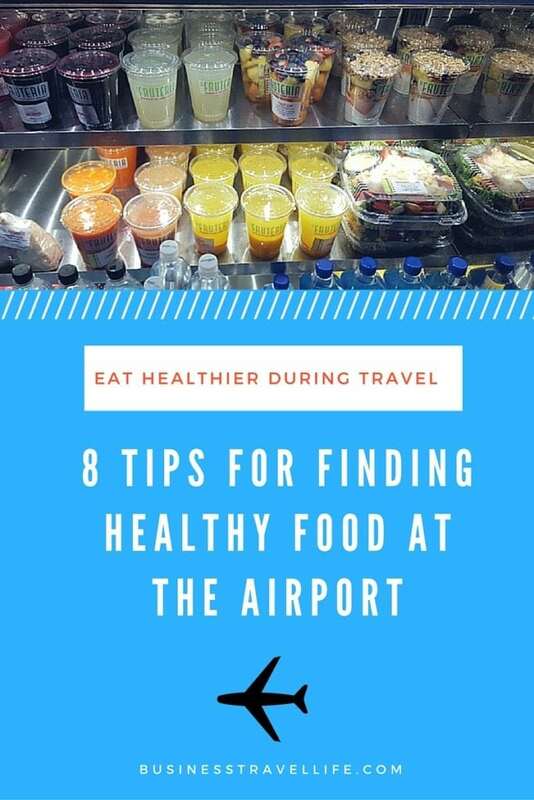 Unless you enjoy feeling tired and sluggish upon arrival, it would be a wise idea to add “find healthy airport food” to the top of your priority list on your travel day. Here are eight tips to eat healthier at the airport. Hydrate– Drink water with your meal. Flying dehydrates your body. The craving for thirst may be confused for hunger, causing you to eat more. Drinking water (instead of soda or alcohol) will also help to reduce jet lag. Reusable water bottles are a great travel accessory to stay hydrated. Find Fresh Food– Look for fresh food that has not been processed or has been minimally processed. Do not go to Popeye’s expecting to find something healthy. Seek out restaurants with healthier options. In some airports, this may mean picking up a bistro box from Starbucks, but in larger airports it is really easy to find fresh options if you look around. A fresh and creative salad at Fruiteria in the San Antonio Airport. 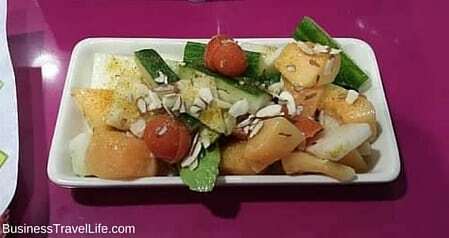 Mix N Match– If you cannot seem to find a healthy restaurant, get creative. Many Hudson Group stores offer fruit, cheese, yogurt, dried fruit, jerky, and nuts. Grab a piece of fruit, a healthy bar and a few string cheese sticks to hold you over until you reach your destination. Use Portion Control– Portion sizes are out of control. When you order your food, do not be afraid to ask for a half portion instead of a whole. If your meal arrives and the serving size is larger than you expected, simply move some of the food to a side plate so you are not tempted to eat it all. And remember, you do not have to clean your plate! This meal is easily 2-3 servings. I made 2 tacos and threw the rest of it away (hate to waste food, but I had it during a connection and it would not have made it to my destination). Customize- Don’t be afraid to ask to have your dish prepared differently. Request all sauces and dressings on the side. Skip the bun on the burger or request a grilled chicken breast (any restaurant should be able to do this if they have fresh food). Swap out fried dishes like French fries for something fresh like a baked potato or fresh vegetables. Don’t Skip- Simply put, skipping meals leads to weight gain. If you are on a three-hour flight in the late morning, pick something up at the airport and eat it on the plane around your normal lunch time. It does not have to be a lunch, but at least something that will hold you over until your next meal, and something that you can eat on the plane without disturbing your neighbors. As a bonus, this will keep you from overeating at dinner. Plan Ahead- Invest five minutes in your health and look online to see what healthy offerings are available in your concourse. Browse the menus and decide what you will order, before you arrive. Having a plan in advance will help you resist temptation when you pass by the pizza stand. BYOS-Bring your own snack. If you are flying through a small airport with limited options or realize you will have a tight connection, pack a few healthy snacks in your carry-on bag. What is your favorite healthy airport food? Please comment below! Simple is often the healthiest route! Thanks for your comment! These tips are great! We should be aware of these tips especially that it’s healthy.